It’s no secret that Austin City Limits makes a habit of showcasing musical legends. Merle Haggard, Tom Waits, Neil Young, Loretta Lynn, Jimmy Cliff – the archives are packed with the best of the best. 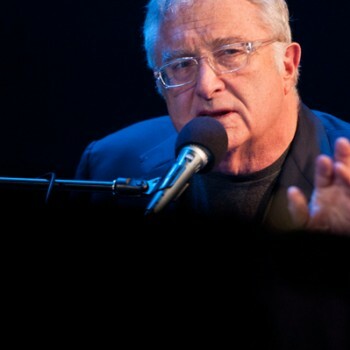 This Saturday, November 12, we add another musician’s musician to the ACL canon: the great Randy Newman. 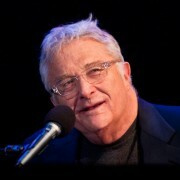 Both a tender balladeer and a master satirist, Newman’s songs span the breadth of popular music for the past five decades. Three Dog Night took “Mama Told Me (Not to Come)” into the top 10 in 1970, Newman scored his own #2 hit with the infamous “Short People” and hooked another, younger generation as the composer of Pixar film music, like Toy Story’s beloved “You’ve Got a Friend in Me.” In between chart milestones he’s scattered brilliant tunes like “Sail Away,” “Feels Like Home,” “Harps and Angels,” “Political Science,” “You Can Leave Your Hat On” and “Louisiana 1927” across the pop culture landscape like a farmer planting seeds in the field. And you get all of these and more in this show. ACL producer Terry Lickona chased the Oscar-winning Newman for nearly three decades, and this episode proves it was worth the wait. Is it too early to call it a classic? Nope – we’re callin’ it. Click here for pics, bio info and the full set list, and don’t forget to tune in Saturday night to find out for yourself. As always, check out our Facebook, Twitter and Tumblr pages for more ACL magic. Next week: more excellent songwriting with Elvis Costello and The Band of Heathens.